The Hat Man is a character I heard about on Coast to Coast radio, George Noory's show. Several people have reported seeing such a entity in the middle of the night in their homes. 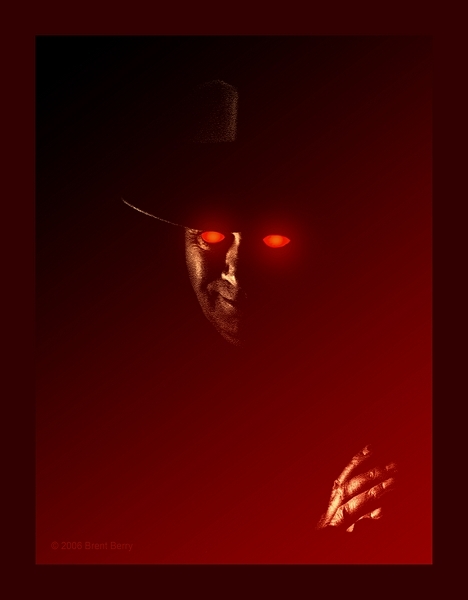 He is said to be wearing a suit and a fedora and he has red eyes. Hmmm, sounds like me! lol. Of coarse I had to make this image myself. Its what I imagined he might look like.